Kim Langridge CD#641705 PADI Course Director/ Owner of Island Divers. Became a PADI Instructor: Became an Open Water Scuba Instructor in 2006 and I am now a Course Director! 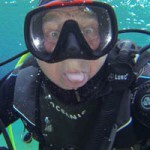 Diving interests: I love teaching the full range of PADI Courses but I particularly enjoy Wrecks. My Future Diving: Really looking forward to diving the remains of the Japanese fleet in the Philippines and some great local dives! 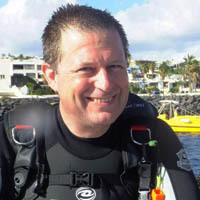 Kev Martin #644405 PADI Master Instructor/ TEC REC 40, 45, 50 Instructor/ Equipment Service Technician. Started Diving: Past the PADI Open Water Course in April 2006 and never looked back. Became a PADI Instructor: I became an Open Water Scuba Instructor in November 2007 and now I’m a PADI Master Instructor + PADI TEC 40 45 50 Instructor. 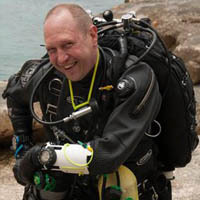 Diving interests: Wreck Diving, Deep Diving and Technical Diving. Favourite Dives: The Giannis D in the Red Sea, HMS Stubborn in Malta. My Future Diving: I would like to get into Cave Diving and to dive with Great White Sharks. My Future Diving: I would love to dive in some more exotic locations and explore more of what the underwater world has to offer – Australia and Phillipinnes are on the bucket list! 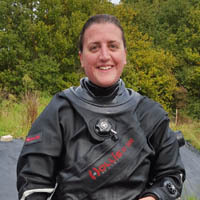 Became a PADI Instructor: I became an Open Water Scuba Instructor on June 2015 on the Great Barrier Reef in Australia so it was very natural progression to move to the Isle of Wight. 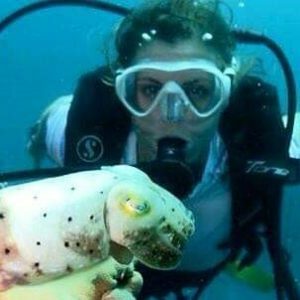 Diving interests: Sharks, Fish, Whales and Reefs. I love Ocean awareness and deep diving and starting to develop a passion for underwater filming. My Future Diving: I would love to dive in the clear waters of Iceland.